Cross and Cutlass: Upon a Rock! This is without a doubt ... one of the coolest, neatest pictures ever !!!!!!!!!!!!!!!!!!!!! I'd love to have that hanging up somewhere !!! Can't stop looking at it ! What a verse to go along with this picture .... " ..... He set my feet upon a rock ....." How blessed are we !!!!!!!!!!!!!!!! So glad you liked it, Brenda!! :-) Hope you are doing well. 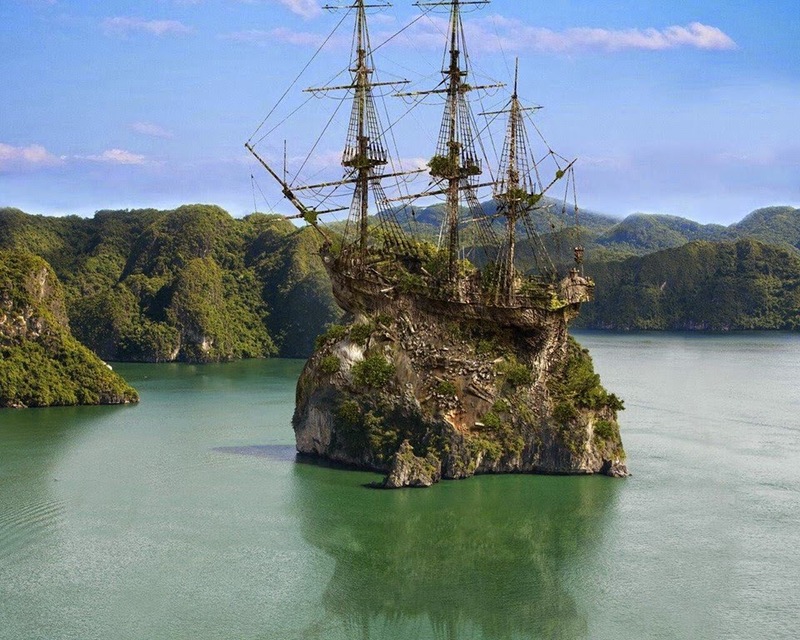 Amazing picture - I wonder how long that ship has been there?? And an amazing God - who certainly set my feet upon a rock those many years ago. Even though I may feel as if I'm about to take a tumble, at times, He is always there to help me back up!! Thank you, MaryLu!! Prayers, love and hugs!! Praying your week is going well!! Amen! The picture goes so awesomely with the verse! Thanks Ladies!!! I love that in Christ, I'm standing on a firm rock that can never be moved! Ohhhhhh!!! I ***LOVE*** this photo and verse, too! Is it a real ship? Can we purchase a print? ?